Experts David H. Fleisher, P.E. David H. Fleisher, P.E. has evaluated litigation and claim matters involving premises liability, highway, construction and accident reconstruction since 1986. He has been qualified to testify as an expert in federal and state courts. Before founding Fleisher Forensics in 2002, Mr. Fleisher was Vice President of Consulting Engineers and Scientists, Inc. for 16 years, where he evaluated litigation and claim matters. Prior to 1986, Mr. Fleisher was employed by Day & Zimmermann, United Engineers & Constructors, and Acme Markets. His primary responsibilities were civil engineering, structural engineering and construction management on commercial, municipal and industrial projects. Mr. Fleisher earned a Bachelor of Science Degree in Engineering from Widener University, and a Master of Science Degree in Civil Engineering, with a major in Structural Engineering, from Drexel University. 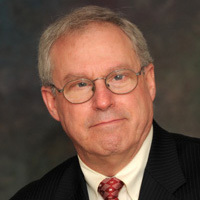 Mr. Fleisher’s professional memberships include ASTM International, American Society of Civil Engineers, American Society of Safety Engineers, Building Officials and Code Administrators, International Code Construction, American Concrete Institute, The Engineers Club of Philadelphia and National Society of Professional Engineers. Mr. Fleisher presents CLE seminars to attorneys and Professional Development Hours seminars to engineers. Active in professional and community associations, Mr. Fleisher was a founder of the local 6th, 7th and 8th grade MathCounts Program and he is an avid supporter of scientific and technical education.